Alright, alright… It's MONDAY and not SUNDAY. But it's Labor Day weekend here in the U.S. of A., and today very much feels like a Sunday. So to me that counts. I've already posted the review of the MAGNIFICENT book I finished this week, Jenn Ashworth's A Kind of Intimacy. And I'm hoping she hurries up and writes another book already, because this one was so brilliant, so up my alley, in a Ruth Rendell/Barbara Vine way. Hurry, Jenn, hurry! Of course I'm reading other things, or just about to start them. 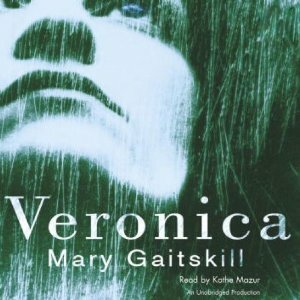 I've started Mary Gaitskill's Veronica, which is written in such a densely wonderful style I'm having to read it slowly, to savor. Soon to be starting Kafka's Metamorphosis for the Classics Group at the library. Can't believe I haven't read this one, but here we go. Can't wait! Finished and discussed both Eva Ibbotson's A Song for Summer and Nathaniel Philbrick's In the Heart of the Sea: the Tragedy of the Whale Ship Essex, both book club reads, both recommended. A Song for Summer's a light, sweet account of a young girl, Ellen, who defies her suffragette aunts to become a cook/domestic at a private school in Vienna during the first stirrings of WW II. It touches on what's going on around them – good people smuggling Jews out of Germany as their safety becomes threatened – but does so in a way that avoids going very much into the politics of it, instead focusing on the morality. And even that's a sort of backdrop to the love story going on between Ellen and the musician Marek, who's involved in bringing Jews over the border into the safe territory of Austria. The group loved it. I think I've already covered Philbrick's Heart of the Sea? It's well-written, reads like a novel, and for anyone with interest in seafaring adventure a recommended read. I enjoyed it a lot. 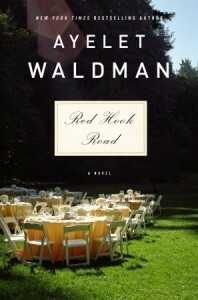 For review, now reading Ayelet Waldman's Red Hook Road. I dunno. It's written well enough, but the premise of the young couple killed between the wedding and reception, and how that ripples out to affect everyone who knew them… It's just not your most original concept, and I may not wind up finishing it. I need to let go of the concept she's married to MICHAEL CHABON! and stop comparing the two. But, having interviewed her, finding out she and MICHAEL CHABON! share the same office space, working back to back, well… Her writing suffers a bit in the comparison with MICHAEL CHABON! No pressure or anything, Ayelet, and you were very, VERY gracious to have granted me an interview. But, oh… MICHAEL CHABON! 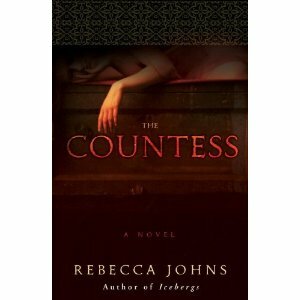 Johns's creepily enticing second novel (after Icebergs) travels to 1611 Hungary as Countess Erzsébet Báthory–aka the Blood Countess–is being walled into a castle tower as punishment for the murder of dozens of women and girls. She begins writing her life story as an exposé of the many betrayals that have brought about this–as she sees it–outrageous and unjust imprisonment. The steady, calm tone of Erzsébet's narration lulls the reader along so that the first hints of madness in her girlhood engender doubt and discomfort rather than horror, and as her lack of remorse and grandiose sense of entitlement are unveiled, a matter-of-fact self-portrait of a murderer emerges. 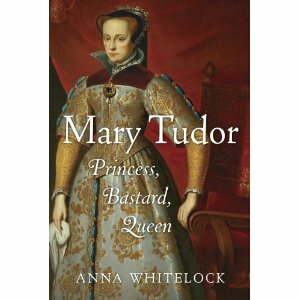 This is a carefully researched story, gothic in tone and grimly atmospheric, with subtly handled psychology and an initially unassuming tone. Unlike most serial killer stories, this rewards patience and close reading. Still so entranced by Per Petterson's I Curse the River of Time I can't bring myself to finish it. I do not want it to end. My nightstand, family room table, van and every other surface runneth over with books review, library and just, plain mine. No time to cover them all. Also, I'm having a very busy weekend; I'm lucky to have written this much. Yesterday I helped my daughter take her room from bubblegum pink to an eye-popping turquoise, and there's no doubt today she'll be raring to go shopping to accessorize. NO DOUBT. Meanwhile, the laundry piles, the clutter clutters, and dishes don't do themselves. Damn them. P.S. : AMAZON! Where's my freaking copy of Jonathan Franzen's Freedom, the one I PRE-ORDERED? I am very NOT PLEASED with your service this time around. VERY not. Gosh, what a lot of reading going on… I don’t envy you the Kafka though – it was one of those I really struggled with. Mind you, that was a long time ago and hopefully it will suit you better.